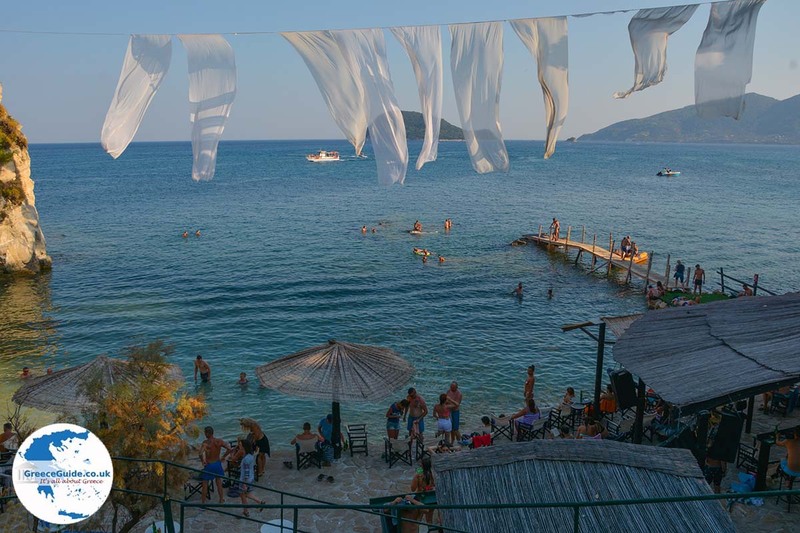 Agios Sostis. 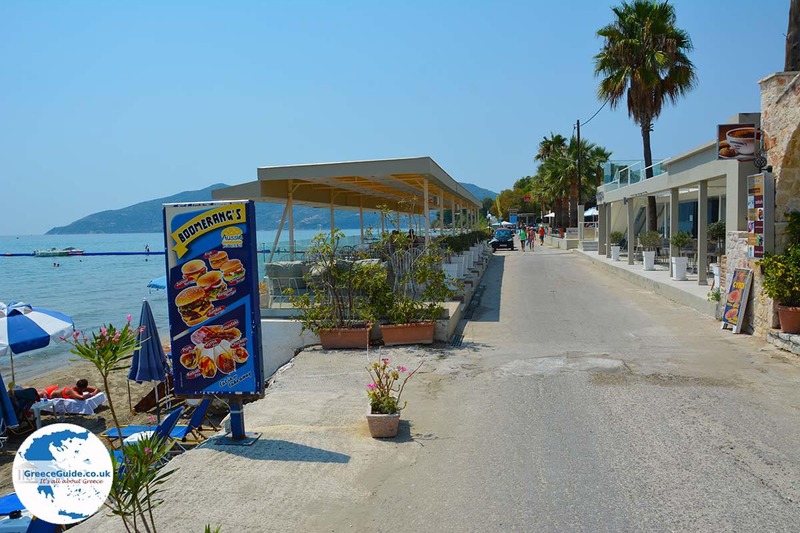 Agios Sostis is a coastal village located in the south of the island of Zakynthos, 3 km west from the tourist resort of Laganas and 8 km from Zakynthos town. It used to be a quiet place but in recent years it became busier and busier. 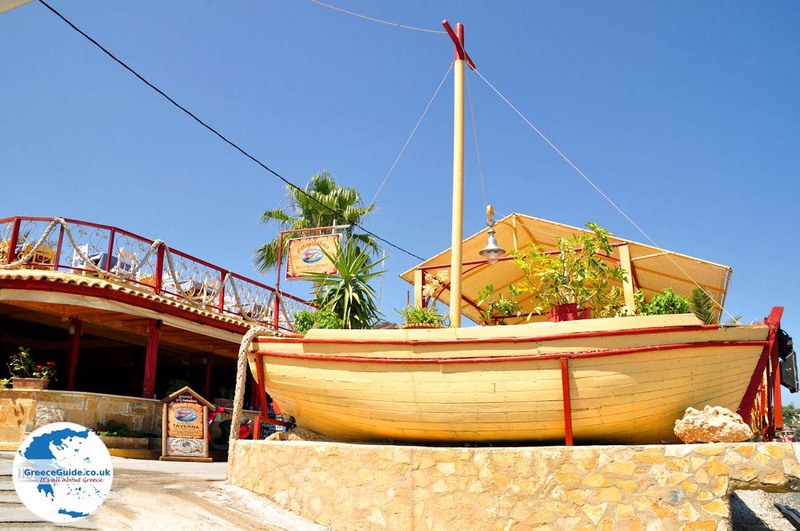 In Agios Sostis are lots of bars, restaurants, tavernas, souvenir shops and minimarkets. 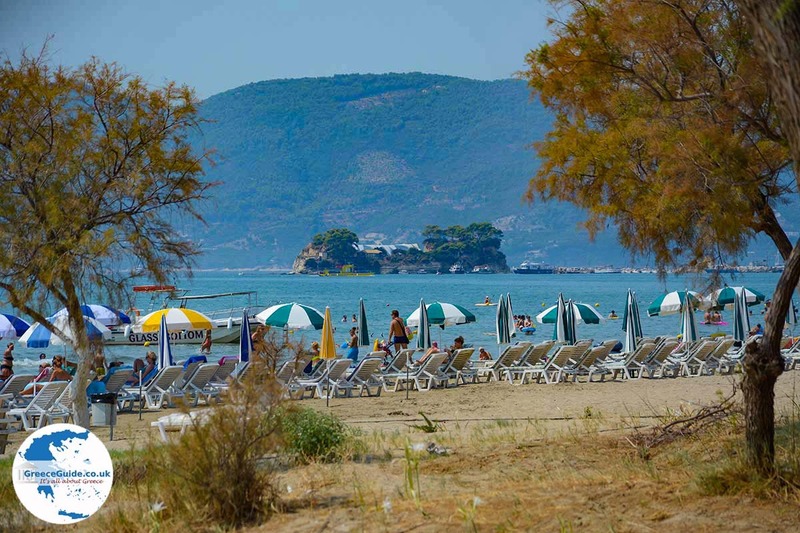 Agios Sostis is located exactly opposite the eponymous island "Agios Sostis. 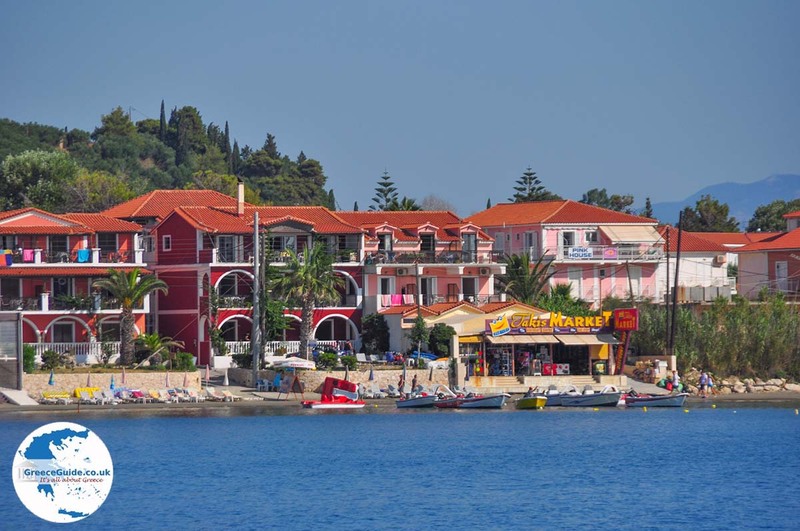 This island is unique, it was created after a massive earthquake on Zakynthos, somewhere in the 17th century. 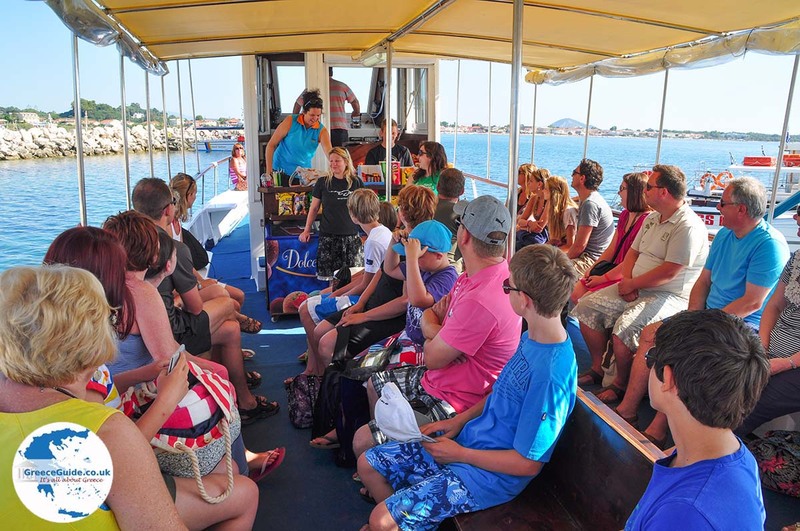 The island has been named after the namesake church on the island and is more than 16 centuries old. 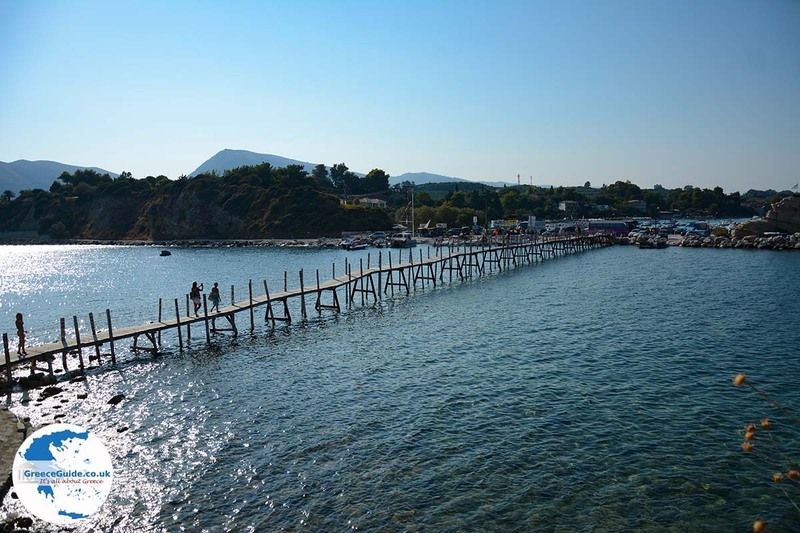 Islet Agios Sostis, which is very small, can be reached via a long wooden bridge. 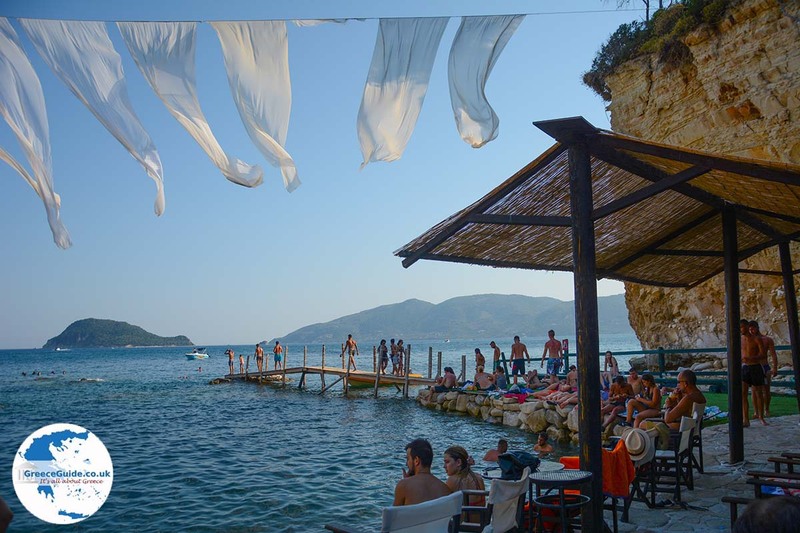 The island is privately owned and on the islet, there is a popular discotheque. 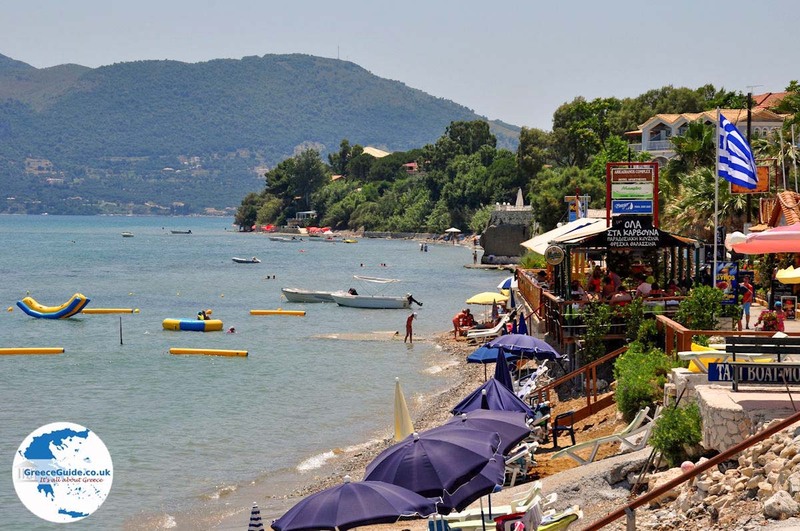 Even during the day it is visited by tourists, because on the other side of the island, there is a small beach where you can swim. 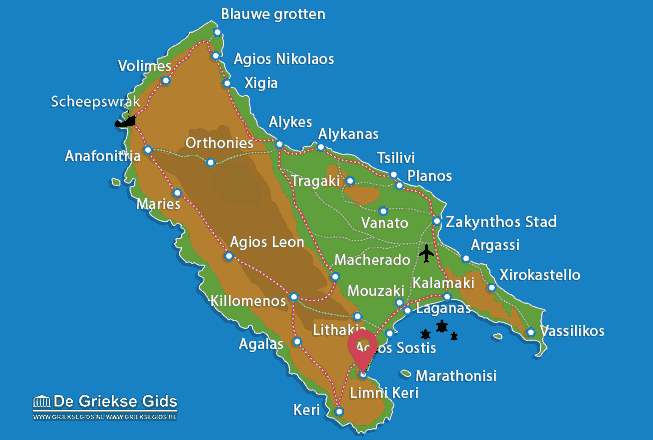 Zakynthos: Where on the map is Agios Sostis located?